Building a culture of learning. 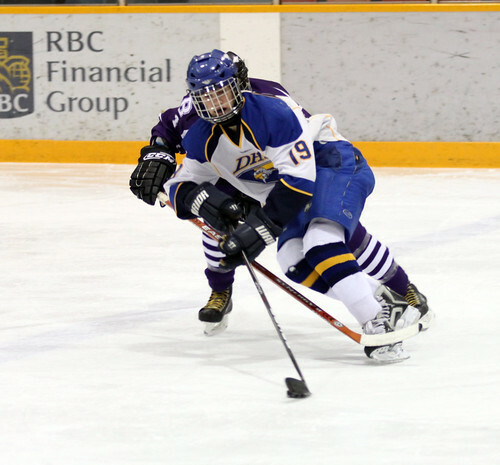 The Boys Eagles Hockey team fell 3-2 against the Beaver Brae Broncos in Dryden tonight. Ryan Lobreau and Matt Bartlett had goals for Dryden. The Girls Hockey team took it to a shootout in overtime, ending up in a 3-2 defeat for the Eagles in Ear Falls vs. the Red Lake Rams tonight. Goal scorers for Dryden were Morgan Church on the power play, assisted by Lauren Shoguchi and Karly Tardiff. Second Dryden goal was by Lauren Shoguchi, with assists from Alex Wesley and Kylie Engstrom. Eagles Hockey returns Tuesday, January 19th when the boys take on the Fort Frances Muskies.